[COLUMBIA, S.C. May 9, 2016] – May is National Foster Care Month, and to promote awareness, Collins & Lacy, P.C. is teaming up with the South Carolina Youth Advocate Program (SCYAP), a provider of foster care and community-based services, to host a statewide item collection drive for the organization’s Precious Cargo program. The non-profit organization is a child-placing and family serving entity that provides treatment, advocacy, and services to children and families dealing with serious emotional, behavioral, psychological, and/or development issues. Precious Cargo is a program developed by SCYAP to provide stuffed duffle bags to foster children the day they enter the organization’s care. The duffle bags contain basic toiletries, school supplies, and comfort items such as a stuffed animal and blanket. The bags are prepared for specific age groups and separated by male and female, so they are personalized for each child. This is an important gesture of caring and support for a vulnerable child at a traumatic time in their life. 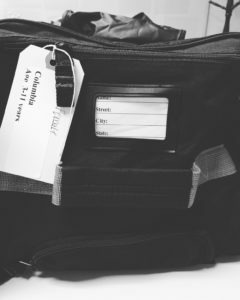 For two weeks in May, the offices of Collins & Lacy, P.C. (Columbia, Greenville, and Myrtle Beach) will be accepting donations for Precious Cargo. 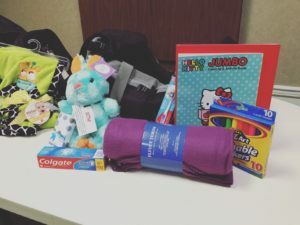 Members of the community, as well as Collins & Lacy staff, are asked to donate items to help fill the duffel bags, such as soap, toothbrushes, tissues, coloring books, and pencils. For a complete list of needed items, please click here. Monetary donations for the program can be made through SCYAP’s website at https://www.scyap.com/GetInvolved/MakeADonation.aspx. All donations can be dropped off at the Collins & Lacy, P.C. offices on the business days of May 16-27, between the hours of 9:00 am and 5:00 pm. To find the location closest to you, please visit the firm’s website at http://collinsandlacy.com/contact-us/. For any questions, contact Collins & Lacy Marketing Director Janie Langdale at jlangdale@collinsandlacy.com.